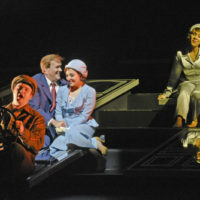 It’s A Wonderful Life (2016) is an opera in two acts with a libretto by Gene Scheer based on the beloved 1946 movie directed by Frank Capra (by permission of Paramount Licensing) and The Greatest Gift by Philip Van Doren Stern. 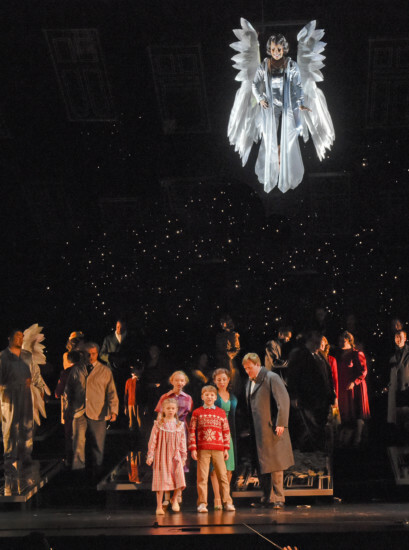 Set on Christmas Eve 1945 in the heavens and on earth, it tells the story of George Bailey in Bedford Falls, NY and the angel Clara who is sent to be his guardian angel and show him the value of his life. 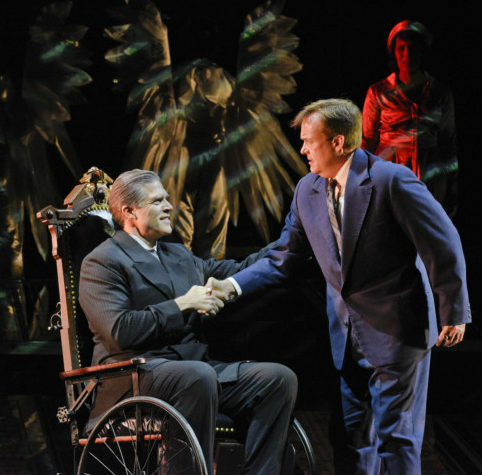 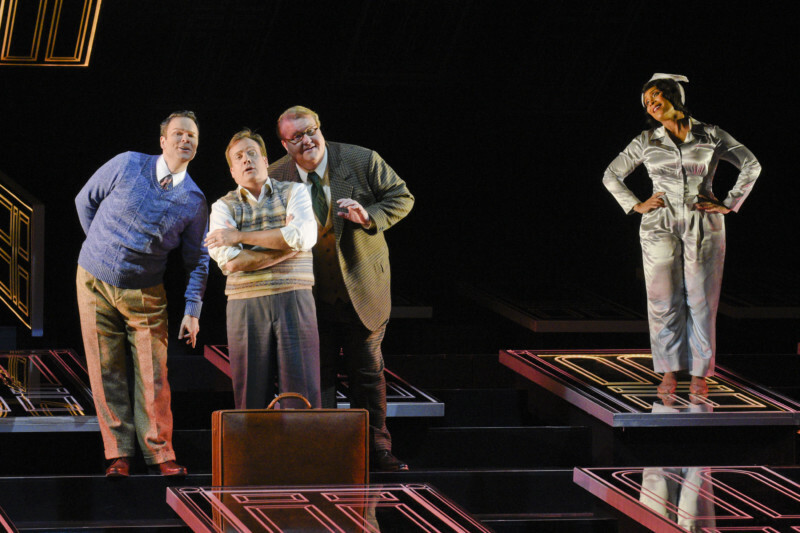 It’s A Wonderful Life World Premiere at Houston Grand Opera, 2016. 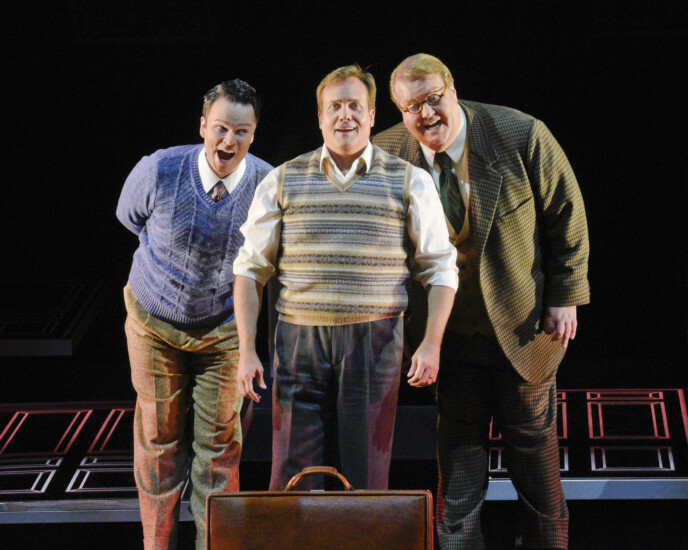 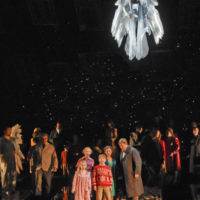 It’s A Wonderful Life was commissioned by Houston Grand Opera with San Francisco Opera and the Jacobs School of Music at Indiana University. 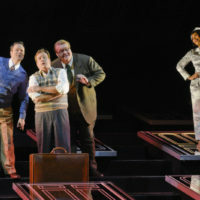 It received its world premiere on Dec 2, 2016 in the Cullen Theater of Houston’s Wortham Center for the Arts and ran for nine sold-out performances. 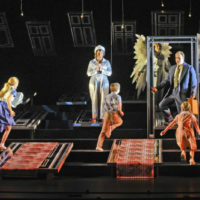 Conducted by Patrick Summers and directed by Leonard Foglia, the production featured sets by Robert Brill, lighting by Brian Nason, projections by Elaine J. McCarthy, costumes by David Woolard and choreography by Keturah Stickann. 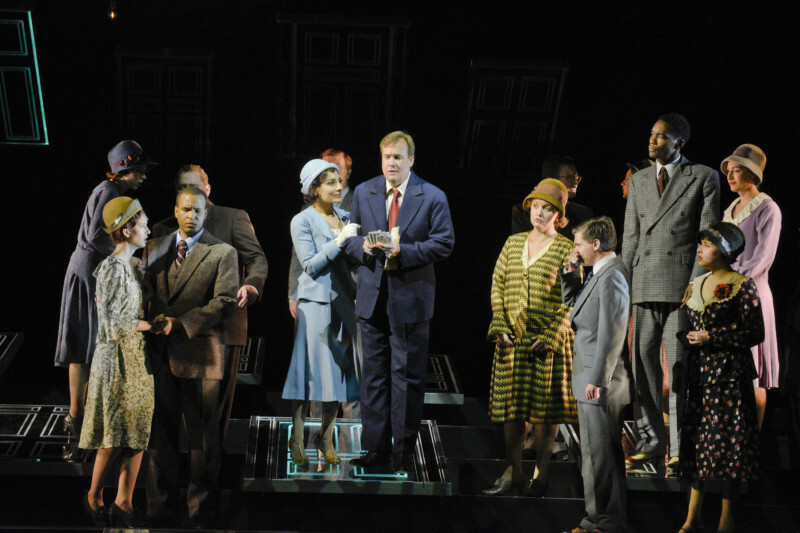 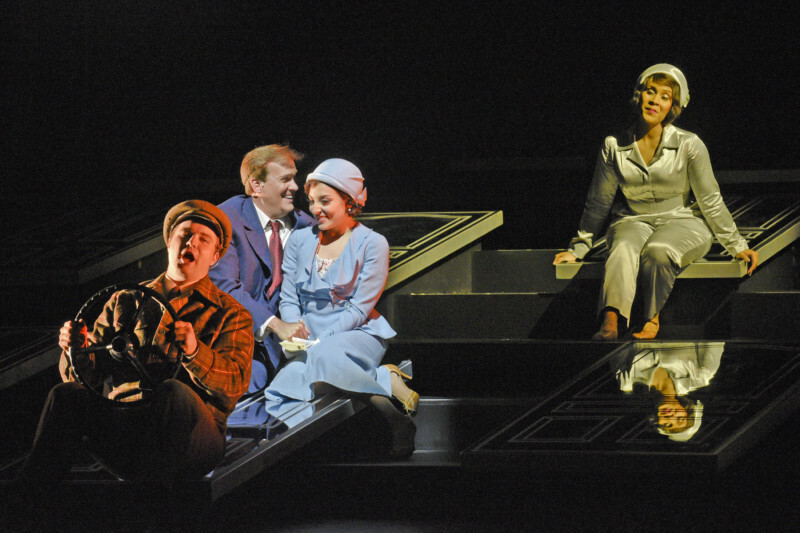 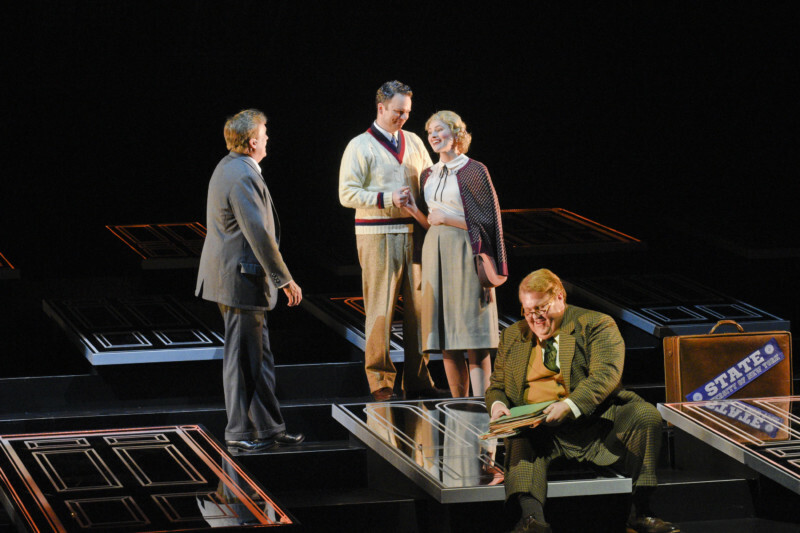 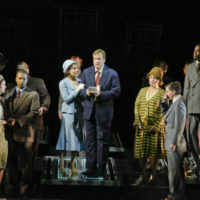 The cast included tenor William Burden (George Bailey), soprano Talise Trevigne (Clara), soprano Andrea Carroll (Mary Bailey), baritone Rod Gilfry (Mr Potter/Mr Gower), tenor Anthony Dean Griffey (Uncle Billy) and baritone Joshua Hopkins (Harry Bailey). 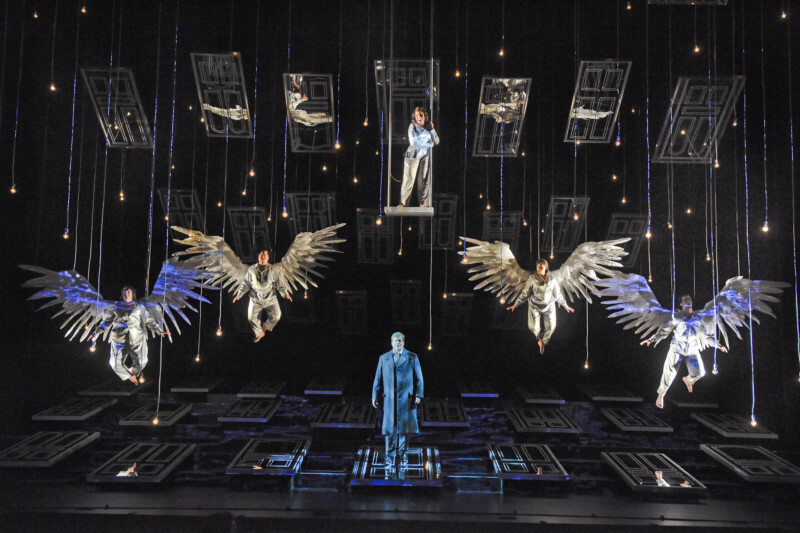 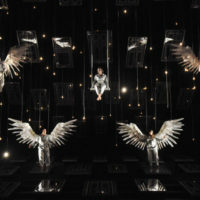 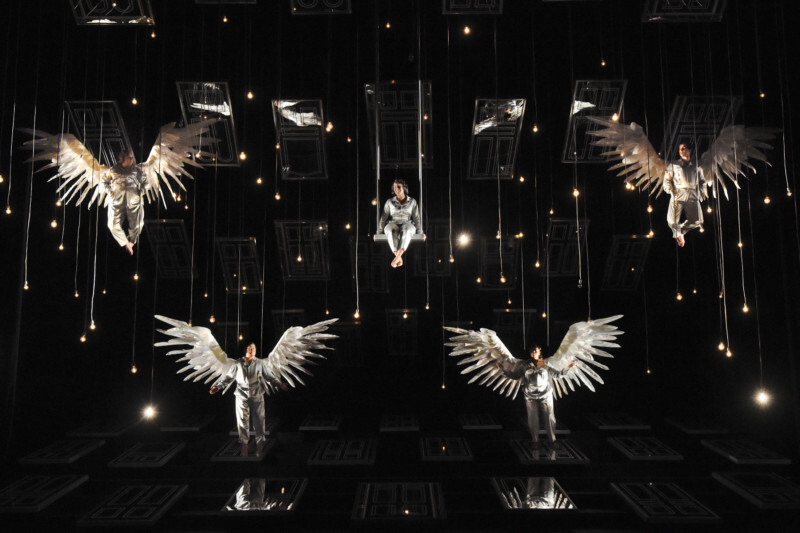 The quartet of four Angels First Class were sung by soprano D’Ana Lombard, mezzo-soprano Zoie Reams, tenor Yongzhau Yu, and baritone Ben Edquist. 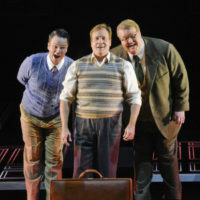 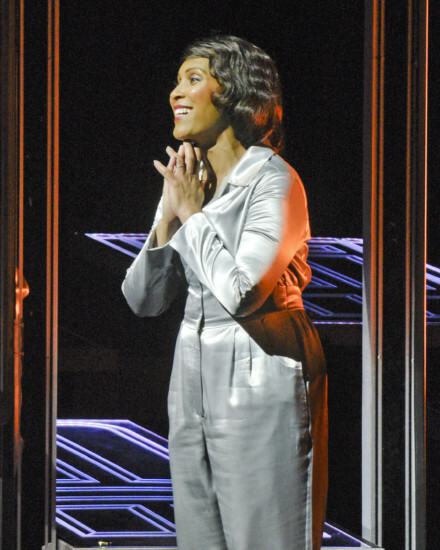 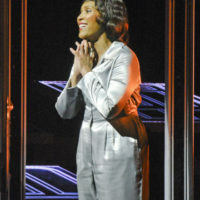 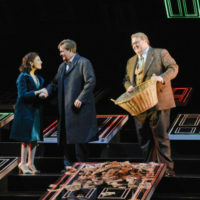 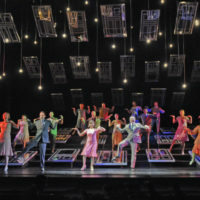 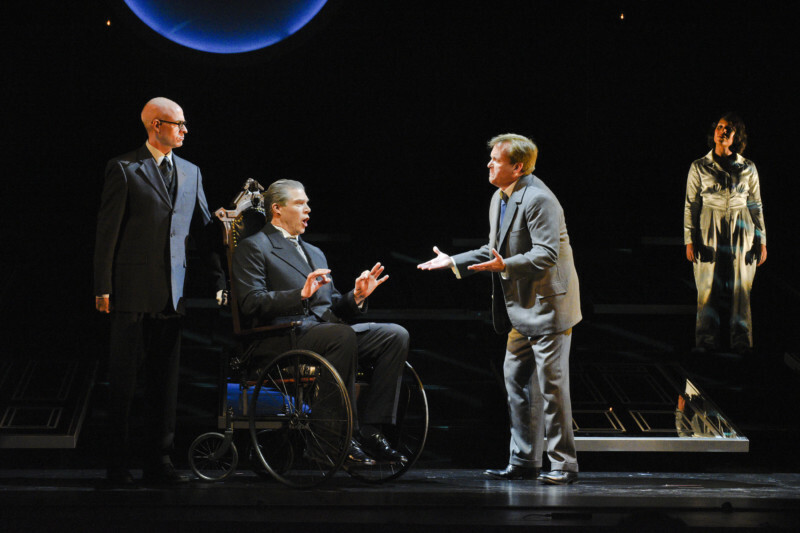 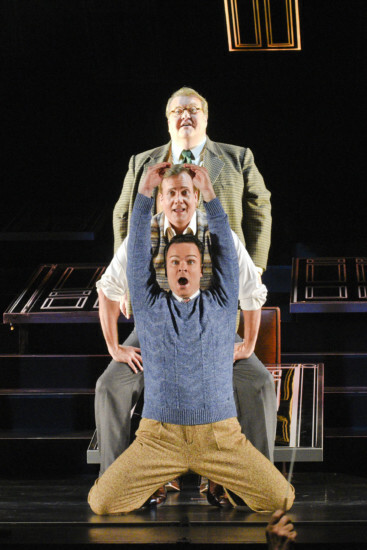 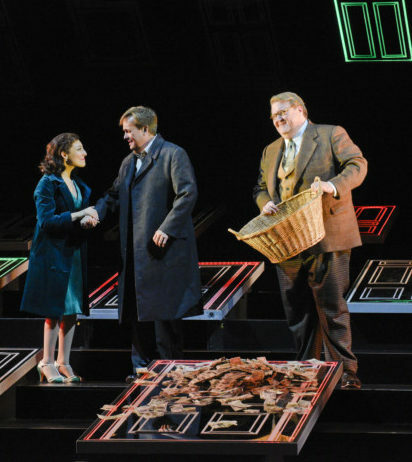 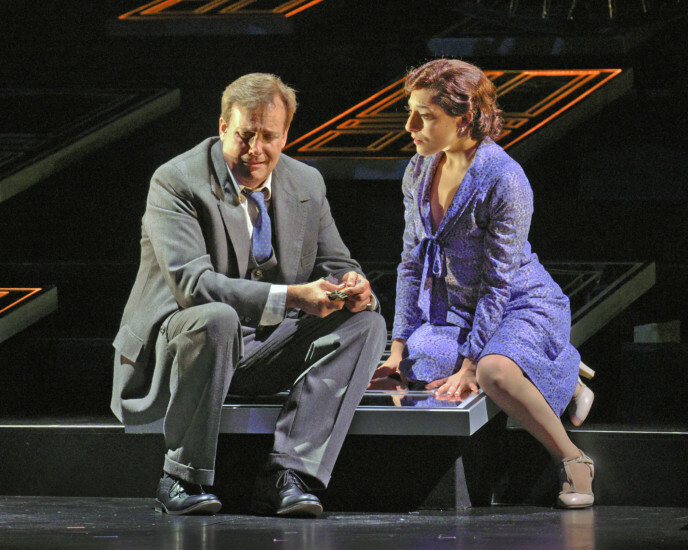 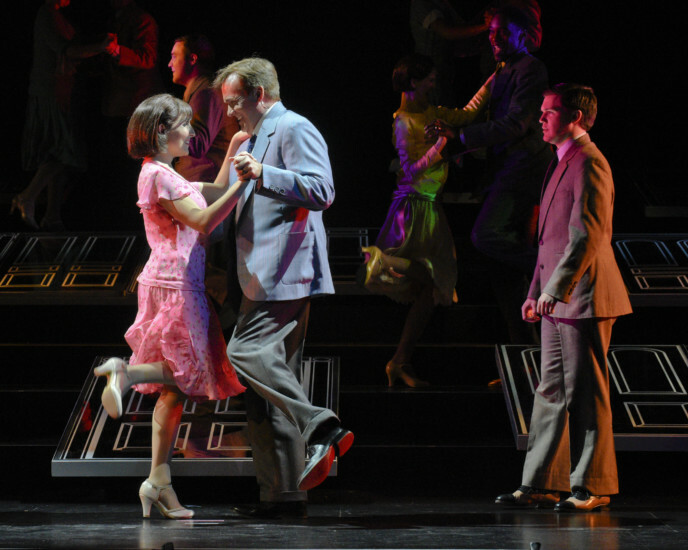 The production featured 16 members of the Houston Grand Opera Chorus and 24 members of the Houston Grand Opera Orchestra. 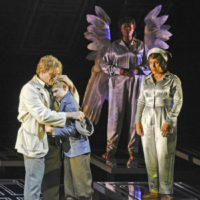 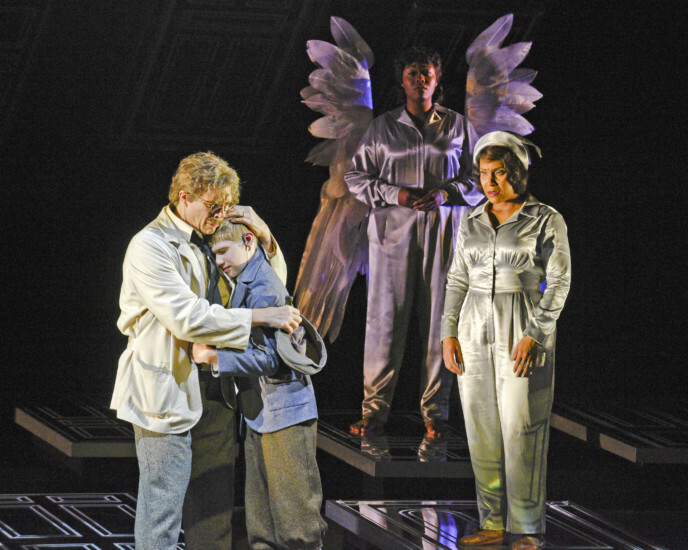 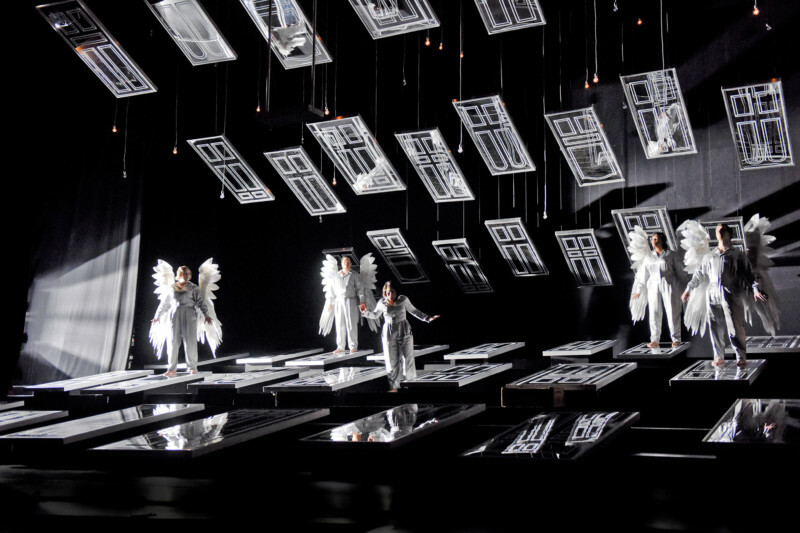 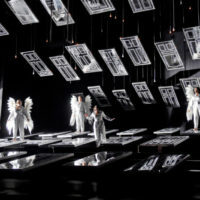 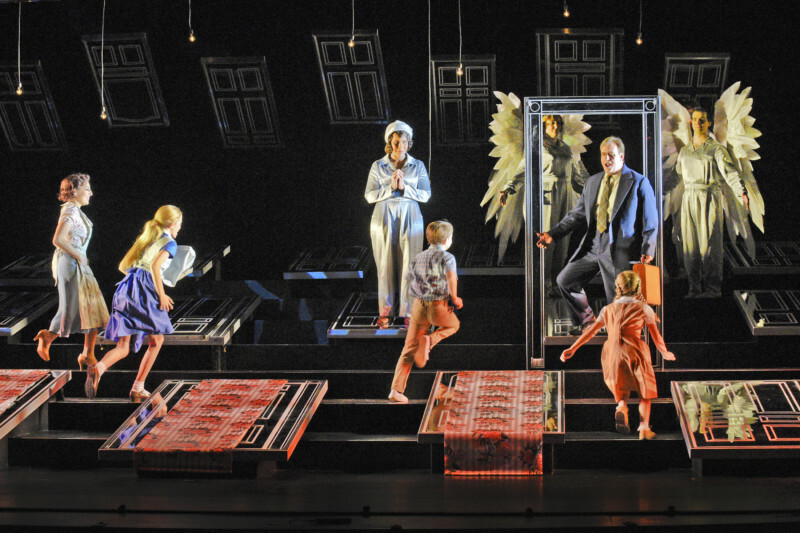 The opera has six principal roles, four secondary roles (the quartet of Angels First Class), several smaller roles which can be drawn from the chorus, and five speaking roles for children. 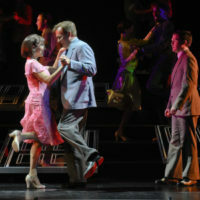 The orchestration was designed to be flexible. 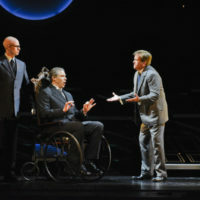 For the Houston premiere, the orchestra included 24 players: 1 flute (piccolo), 1 oboe (English Horn), 1 clarinet (bass clarinet), 1 bassoon, 2 horns, 1 trumpet, 1 trombone, 2 percussion, 1 harp, 1 piano, 6 violins, 2 violas, 3 cellos, 1 contrabass. 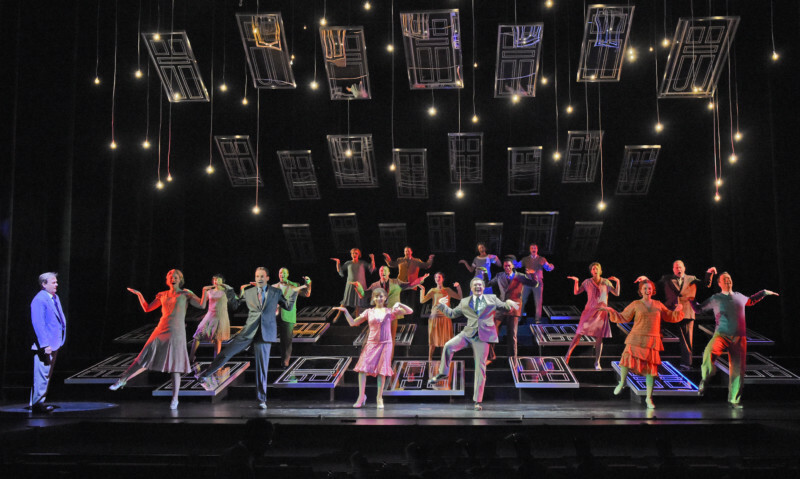 The string count may be significantly increased for larger theaters. 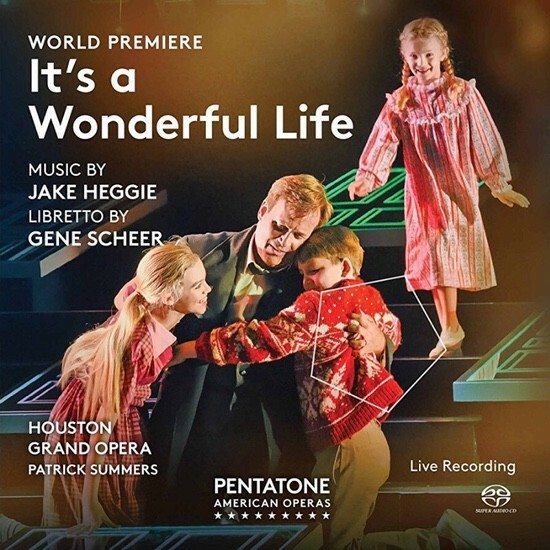 It’s A Wonderful Life was recorded live for PentaTone Classics and is scheduled to be released in the Fall of 2017. 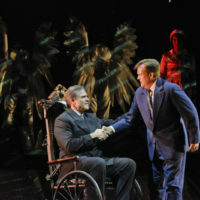 The creation of It’s A Wonderful Life was supported by generous gifts from The Robert and Janice McNair Foundation, The Cullen Trust for the Performing Arts, Sara and Bill Morgan, The Ann & Gordon Getty Foundation, Diane B. Wilsey, Franci Neely, Cynthia and Tony Petrello, Diane and Stephen Heiman, and The Andrew W. Mellon Foundation. 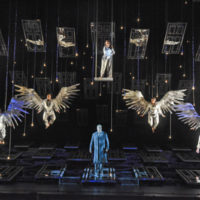 Available on Pentatone Music, Amazon, Amazon Music Unlimited, Spotify, Apple Music and iTunes. 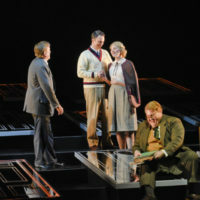 Bill Holab Music is agent for the sales and rentals of the score to Its A Wonderful Life.